Shopping for Black Butler Jewelry? 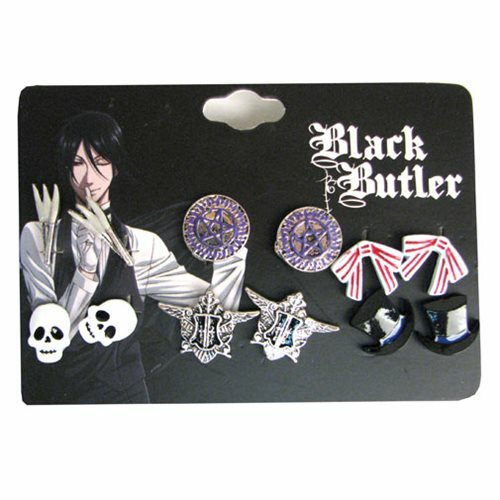 Show your love for Black Butler with the Black Butler 6-Pack Stud Earring Set! This set of 6 features iconic symbols like the pentagram, the Phantomhive seal, and even Ciel's bow tie! Each pair comes with a post and backing for security. Perfect for your cosplay outfit or everyday wear, this Black Butler 6-Pack Stud Earring Set makes for a perfect addition to your jewelry collection! Ages 14 and up.